Longview, Texas, 2017-Oct-05 — /EPR LAW NEWS/ — Chrimar Holding Company, LLC today announced that fourteen (14) more technology companies and/or certain divisions within these companies have entered into non-exclusive licenses for certain equipment under certain Chrimar patents including certain Power over Ethernet (PoE) equipment designed for deployment within a BaseT Ethernet network. ”We are very pleased to see that the trend of taking licenses for this critical technology is again continuing to increase, with the number of licensees totaling forty (40)” said John F. Austermann III, President & CEO of Chrimar. Chrimar was the first company to employ DC current within a BaseT network in the early 1990s and has received a number of US patents for this very important technology. Chrimar continues to market its EtherLock™ family of products for asset control, management and security. 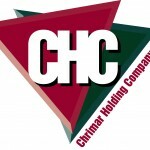 The Chrimar portfolio includes US patents numbers 7,457,250, 8,155,012, 8,902,760, 8,942,107, 9,019,838 and 9,049,019. Longview, Texas, February 10, 2016 — /EPR NETWORK/ — Chrimar Holding Company, LLC today announced that four (4) more technology companies and/or certain divisions within these companies have entered into non‐exclusive licenses for certain equipment under certain Chrimar patents including certain Power over Ethernet (PoE) equipment designed for deployment within a BaseT Ethernet network. ‐ Samsung Electronics Co. Ltd.
“We are very pleased that these companies have joined many others in taking licenses to cover certain equipment sales” said John F. Austermann III, President & CEO of Chrimar.